Science Heads appeared for the second time at Science Showtime, held at Golden West College in Huntington Beach. The event was on September 28th, and drew a big crowd as it had the previous year. 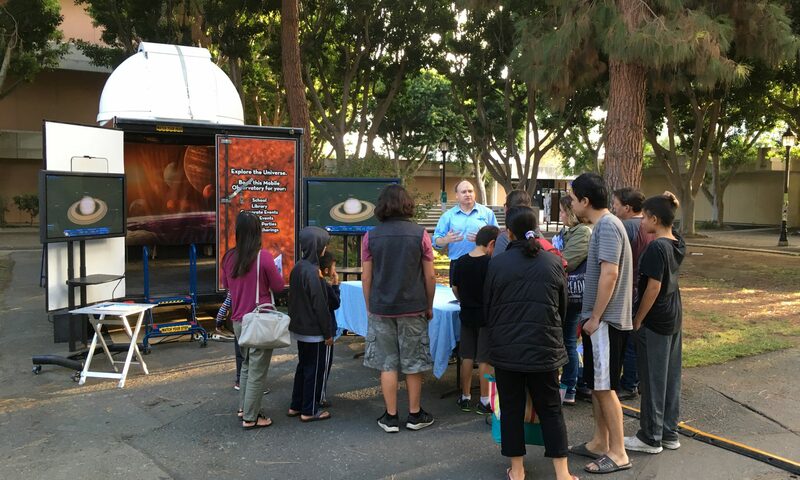 This time, Science Heads brought the Mobile Observatory to the middle of the campus. The event ran from 5pm to 8pm, which didn’t give an opportunity for viewing either the sun or night sky, but we had a great time talking about the solar system, and answering a lot of really good questions about space! Our next public event will take us to Spooktacular at the Great Park in Irvine, October 13th and 14th. We hope to see you there!